1. I can still paint my own toenails. I would definitely call this a win. 3. I can jump up and down without feeling like I’ll cause a crater to form. 4. I can still shave (all of) my legs. 5. (Almost) mastering the “roll” out of bed – which involves a lot of acrobatic effort and not-so-gracefully maneuvering over my snoogle. ^she’s snug as a bug and doesn’t want to meet us yet I guess! 3. Nesting – setting up the nursery, buying baby things, organizing our apartment…I feel SO PRODUCTIVE! 4. That I have not gotten any stretch marks, much swelling, heartburn, morning sickness, or other preggo side effects. Score! 1. The never-ending weight gain and watching my abs go into hibernation. 2. Not being able to wear the majority of my wardrobe the past 6 months. 3. Being able to pee pretty much on command – it’s like a weird super power. 4. That I didn’t get that amazing-flowy-full-pregnancy-hair like my mom did with me. 5. The lack of precious sleep after 36 weeks/waking up every 2 hours/not being able to fall asleep and stay asleep. ^today at the beach, and we got ice cream after! 1. How to cater to my wife: She’s working so hard to grow this baby for us so I’ve tried to work just as hard to make sure she is comfortable and taken care of – such as helping her out of bed when she can’t roll out herself, getting her water and checking on her when I come home from work at night. 2. My wife gets overwhelmed easily: She’s had a hard time with certain things such as her favorite clothes and shoes not fitting, having to go to the bathroom every 2 hours, getting out of breath easily, etc. Learning how to support and encourage her through these struggles has helped me grow as a husband – I’ve learned to be emotionally present and strong for both of us when she needs it the most. 3. 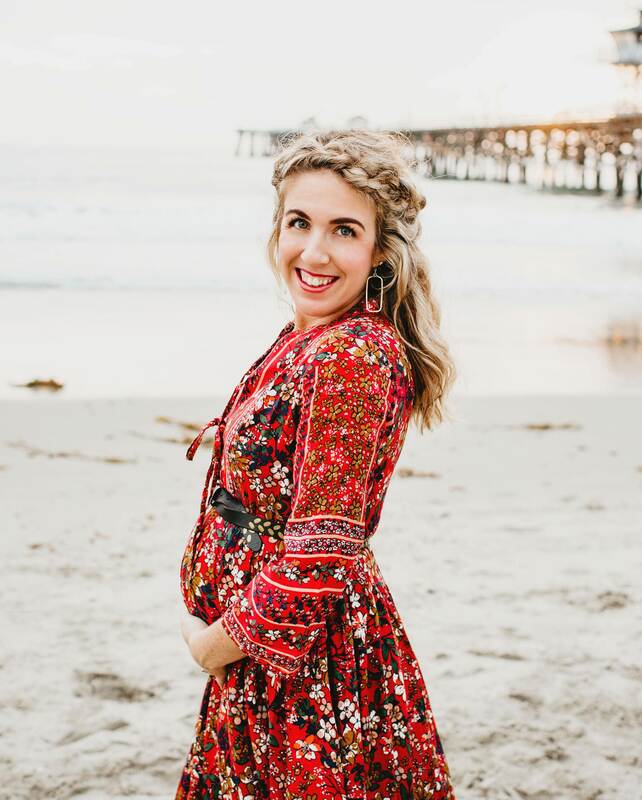 She’s definitely slowed down: Before she was pregnant, my wife loved to go on adventures all the time and now, she’s fine chillin at home/having down time. Which is nice, because we get to relax and I can take care of her – my favorite thing to do for her is give her feet and legs a massage and then put her in a foot bath with bubbles. 5. I’ve gotten more in touch with my emotional/dad side: I’m more motivated to work harder at work and at home because I’m now working for my family – for my wife and our baby. I also love thinking about my daughter, and what the future will be like being a dad. I’m also more attentive to types of parenting when Becca and I are out – taking note of things I will and won’t do as a dad to my kids.